Eighty MyHeritage employees from our headquarters in Israel arrived in full force early Sunday morning to the Segula Cemetery in Petah Tikva, Israel, to digitize gravestones using the BillionGraves mobile application. We felt it was important to practice this ourselves, before we call upon others to join us in this initiative. By gaining hands-on experience, we aimed to create best practices, improve the product and fine-tune methodologies for digitizing cemeteries all around the world in the most efficient manner. The MyHeritage team at Segula Cemetery (click to zoom). So what brings a large group of young folks with smartphones to a cemetery? We recently announced a global initiative, together with BillionGraves, to digitally preserve the world’s cemeteries. It is important to digitize cemeteries because of the key role that gravestones play in family history and in society in general. Most of the world’s cemeteries have never been systematically documented nor has their information made available online. In addition, age and exposure to the elements are rendering gravestones illegible, making this project even more urgent. It was a cloudy morning, with occasional drizzles. This was very fitting for our task at hand and the conditions proved to be perfect for taking photos. 80 employees participated in the event. It was the largest event of its kind ever held in Israel. A few members of the team worked on coordinating the logistics and photographing the event, while the rest concentrated exclusively on systematically photographing gravestones. The Segula Cemetery is one of the oldest cemeteries in Israel. 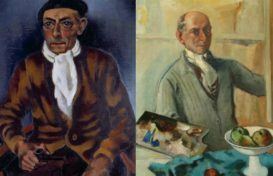 It was established in 1888, only ten years after the founding of Petah Tikva itself. Many founders of the state of Israel are buried there, making it very special to the history of the country. 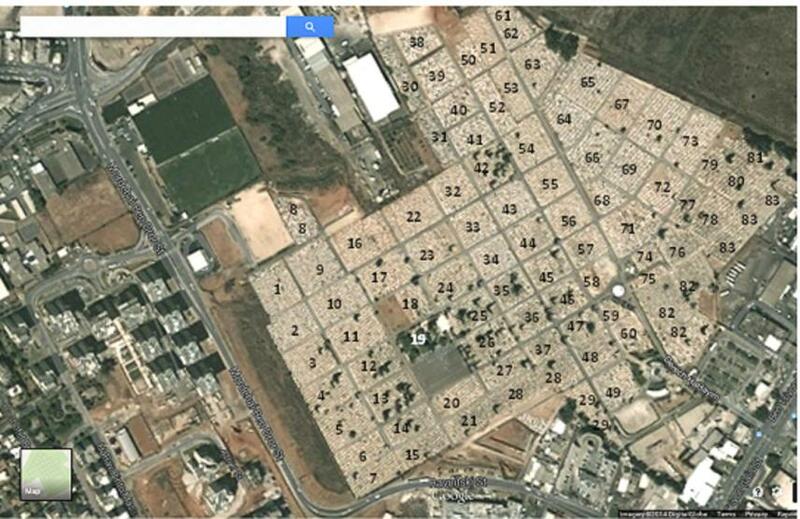 Due to the size and age of the cemetery, a large portion of the Israeli population will have an ancestor in Segula. We arrived at the cemetery and collected breakfast, to give us fuel for our project. We started with a group practice session, led by Gilad Japhet, MyHeritage Founder and CEO, to make sure that everyone was proficient in using the app. Satellite map of the Segula Cemetery divided into zones. We then headed towards our zones and began snapping away. The gravestones contain vital information about the deceased, such as dates of birth and death, names of parents, and place of origin. Some even had photos, handwritten poems and other physical objects attached to them. Some interesting gravestones that we photographed. Our employees did their best to take the highest quality photos. At times they had to move branches, temporarily remove stones, clean dirty surfaces and ensure proper lighting to get the best possible shot. Sometimes it is not easy to capture a whole gravestone in one image and still have the text be legible, so we used the important image-linking feature in the BillionGraves app. It is especially useful if there is text on a standing stone and also on the bottom stone, and where a husband and wife have graves together. The image-linking feature makes it easy to take multiple photos and link them together within the same record. MyHeritage CEO Gilad Japhet photographing gravestones. We spent 3 hours at the cemetery, and in that time the team managed to take 51,000 gravestones photos! Each employee averaged 700 photos, approximately 280 photos per hour. Some employees took over 1000 photos! We covered more than 72% of the whole Segula Cemetery and marked the remaining parts, to be photographed by us on a later date. We returned to the MyHeritage office for a company-wide debriefing to discuss our experiences. The five employees who photographed the most graves were announced and awarded prizes. Everyone was commended for a job well done. It was an incredible experience to kick-start this global initiative to preserve cemeteries with the whole MyHeritage team. We worked together with great motivation and energy. We helped digitize gravestone records for hundreds of thousands of people in Israel and around the world who have ancestors buried in the Segula Cemetery. The project was a success and the team enjoyed being able to contribute to society and help preserve important information for future generations. Using the free BillionGraves application, anyone can easily photograph and document gravestones and the top feature is that the app preserves the exact GPS coordinates of every gravestone. This verifies the information and allows others to locate, visit or re-photograph any gravestone they have found. The gravestone photos are transcribed by volunteers using the BillionGraves app or website, and the records are then added to MyHeritage SuperSearch and to BillionGraves, and made available for free on both sites. MyHeritage Record Matching technology automatically notifies users on MyHeritage and Geni whenever a gravestone was added for one of their ancestors. This is a truly exciting, global, non-profit bona fide venture. As we continue in this worthy goal, with your help, millions of people will discover the final resting place of their ancestors and relatives and the information it includes. We invite you all to participate in this global project and start digitizing the world’s cemeteries. Whether its a few photos from your local cemetery, or your own ancestors’ gravestones, each photo preserved plays an important role in making family history accessible to all. Click here to join our global initiative. We have established a team to organize the efforts and we will be in touch with the people who volunteer to help them with advice, guides and resources. We will help organize those interested in get-together single cemetery projects like this, which make the activity more social and fun, and digitize the cemeteries of the world, one cemetery at a time, and one gravestone at a time! Wow, that is absolutely wonderful! What a wonderful, Wonderful, project! My brother and I have been “haunting” cemeteries for 40 years, taking pictures of intriguing and unique headstones along with the family headstones. NOW I am going to click on the link to join this phenomenal project! Sending a hug to each one of your awesome employees for helping to keep memories alive and helping to preserve this so important history avenue! Kudos!! and Thank You!! You are doing a wonderful thing to preserve information that in time would be last to the ages. All of you are to be commended. If in better health, this is something in which I’d become involved. Kudos for jobs well done! Spectacular effort to everyone involved! I’m so interested in learning more about this project. I am heading up a committee at my Synagogue to photograph headstones at our local cemetery. It was originally a project to determine Jewish names of past members and has grown into this!!! We hoping to get started this Spring. Any hints would be appreciated. Will the names entered in a database — ideally in English (or at least translatable) — that can be searched for last names? Our local ancient cemetery has many unmarked but known burials. Hopefully digitized lists of unmarked graves can be added. This is a tremendous effort. I am in South Africa my ancestors are from the UK and I have no trace, Grand parents died and are buried in Queenstown South Africa. What a great idea.. I will be taking pictures as soon as weather permits. I know of three small cemeteries with in 10 miles. I didn’t understand all the instructions for the project but I will re-read them again and hopefully do a good job. Would love to take part in the project and add Scottish cemeteries, but sadly NO smartphone.. If it wasn’t for the Internet we would have never found who and where are ancestors were from. I take photos of headstones in several cemeteries & enjoy reading the inscriptions about that person. I would love to help, but do not have phone with the capabilities that you say I need. I do feel that this worldwide project is a fantastic under taking. Yes. this is a wonderful idea & I wish you ALL the best in your efforts. Unfortunately I cannot walk or travel & I don’t have a mobile phone. There are thousands of graves here in the ‘Land down under’ , AUSTRALIA. I do have some photos of graves as most of my family have passed on, but I would have to find them. I will see what I can do when pain allows. Again thank you & every good wish for success with this. Well done. I do not own a smart phone but I have photographed all of my family headstones here in my small town in Canada. If someone could do Poland that would be wonderful, and the UK. I do not have a cell phone of any sort, but this is a great idea, and I urge as many people as possible to get behind the project I have been a member of Billion Graves for some time, and am constantly adding deceased names and correcting existing information .Unfortunately no photos . This is amazing!! I m born in Zambia, lived the most of my life in South Africa and now I am 13 years in New Zealand. Search on the net for family but it is not enough. You are wonderful people!! Thanks for started this. Wow what a wonderful project. I will join when I have the right equipment. When we were in Israel in 2008 I photographed several photos in the Beer Sheva Commonwealth Cemetery. I hadn’t realised MyHeritage had its origin in Israel. Mexico has the most colorful graves in the world! We have photographed many because of their uniqueness. I will be sure to include ours pictures in this historic project soon! What a brilliant concept, congratulations to all involved. What a brilliant scheme! I will be participating when I can get access to a smartphone. I am in rural Kent, UK and there are so many small cemetries here. I just downloaded the app BillionGraves, I can hardly wait to go to my local cemeteries and join the project. Good luck and God Bless everyone. This is a fantastic idea. I will down load today. Can you accept photos of tombstones from Ukraine that were not taken from a smart phone? Great idea. I have many pics of gravestones, some very difficult to find, but I do not use a cell phone. There, the ap is of no value to me. I’d like to contribute to this exciting project. Any suggestions? This is wonderful. There is a small cemetery near me. It is in someone’s pasture. There is a sign that says “Howard Cemetery” and I want to go to it. We have to get the owner of property’s permission because it is behind fence. My mother’s maiden name was Howard. What an amazing project! Keep up the good work. Since I do not have a Smart Phone I’ll take advantage of what others do. It’s exciting to see so many young people involved in this wonderful project. Great project, I would like to participate but would like to know step by step what the procedure is from taking the photo to uploading it. Can the photo’s be transferred to a computer to send or must they be sent from the smartphone?. I do hope you will work on expanding this to include pictures already taken. I have several pictures of tombstones that cannot be retaken as the stones have deteriorated since then. Also, I do not have GPS, nor access to it & certainly did not have it years ago when my pictures were taken. Great idea to record these. I’ve been trying to do this for years–not for cemeteries, but for my own ancestors. Glad to hear this is being done globally. As an Australian it would be great to join a similar project at Rookwood Necropolis (Sydney) Our heritage is buried here, along with most of our national leaders. Right on, people. You made me smile! Headstones of the Falle Family and some other interesting things in the Church. Would an iPad not work to contribute to the Billion Pictures project. I could possibly take pictures if that was the case, and I feel that for my Ukrainian ancestors photos, I’d be so delighted to have someone photo those gravesites, while I will take care of the Bilkoski(Bialkowski/Bilkoski’), Sokolik /Sokolyk descendants in Manitoba. Great idea and would love to help in this project but like many people I do not have a smart phone. I do have an Ipad, could the app be downloaded to this? This is awesome. I would love to get involved. I had the pleasure of doing contract work for the Commonwealth War Graves Commission and have always been involved one way or another with photos of interesting Cemeteries. How can you tell if a particular cemetery has been documented already? I wish windows cell phone would have a app, like iPhone and Android app. Maybe they can work on that. Yes Iam a member of the BillionGraves. I would love to, unfortunately, due to my age and health I am unable to participate. I also do not have a smart phone. Thank you all for the excellent feedback! 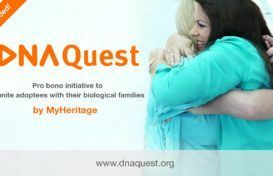 Richard – The names will all be transcribed, and they will be searchable through MyHeritage SuperSearch (www.myheritage.com/research) for free! Sarah- When you open the BillionGraves app, you can go into the Cemetery section and search for the cemetery in question, to see if it has been photographed yet. Diana, Sandra- An Ipad should work fine, provided that it has working GPS and an internet connection to upload the photos. Eileen, Marg, John, Anthony, Ronald – It is important for us to ensure that GPS coordinates are included with each and every gravestone photo. For this reason, a camera cannot be used, and photos of graves that you have previously taken cannot be uploaded through the app. For everyone that would like to participate, but is without a smartphone — you can still help out! We need help entering the names and information that appear on the gravestone pictures. Please sign up for free at http://www.billiongraves.com/myheritage. Go to http://billiongraves.com/pages/transcribe to transcribe the gravestone photos straight from your own browser. Esther, Many cameras have a GPS facility so should work as you wish. Just upload the photos from your laptop or desktop. Everyone; Please be careful when taking photos with “smart phone” as I see so many photos of gravestones that are unreadable because the file size is too small and when enlarged to read the inscription, it just become so pixellated as to be useless! A throughly commendable action which will provide future generations a glimpse of their shared ancestry. Well done people. I have digital photos already, and I have added GPS positions with “Geosetter”. (This program will add GPS data to any photo, using a Google type map, so you don’t have to visit the grave site to get the co-ordinates). Would this be OK? Congratulation!! Awesome! idea. I just downloaded the app and I would like to participate on this BillonGraves worldwide project. Thanks! to helping millions of people to keep memories of our ancestors to alive. Ps;My ancestors came from Germany, Spain, Argentina, Chile. Now I live in Canada. It is a shame that it is limited to 5 as there are a lot of people that do not a may never have a iPhone 5 but would shill like to be part of this mission. I am in Australia and there are many cemetery large and small that could add to the list some value. Peter- That’s a great idea. We will be giving some tips of best practices for taking gravestone photos. We’ll be giving more detailed information to users that are interested. Howard, Graham – At this point in time, only photos that are taken directly through the billiongraves app can be uploaded for this project. I think its a great idea. It will help save and find a lot of history that otherwise might be lost. I think this is the best idea ever and while I do not own a smart phone either I have hundreds of photos of headstones that my husband and I have taken over the years researching our own family tree. Our headstone photos are from cemeteries all over Newfoundland, Canada and we would love to share them with you if can let us know how.. Keep up the good work. job . I will be looking into getting a smart phone as I have a very old phone , I usually take photos of gravestones of family past with camera. Do you need permission from the cemetery to take so may photos as I have taken photos of family members . Amazing effort. Amazing technology. Amazing team you have. May many others carry on the good work, myself included! Verry excating.My mother is bury there.Thank you. I would love to attempt to do this but I have no idea how to start and do not have a GPS cell phone but I do have a camera and can type information onto a laptop. Is there any way I can help with this project of logging a cemetery? We are in the process of logging the Catholic cemetery near to where we live. Can anyone give me an answer please. Thank you. this is wonderful . it is very impotent to get photos from galizia – Poland. this is very amazing project and I started by transcription but like also making photos as Im from small country Slowakia and dont know how many people will be interested in.Its a big problem having no smartphone but I do my best.Thanks and hugs for all people over the world for their work.Keep smiling…. The job you are doing is really excellent. One day I would like to visit Israel and visit Myheritage. Greetings to you all from Turkey.